Wayne Bryant Heating and Cooling is proud to service customers living in Apex, NC. 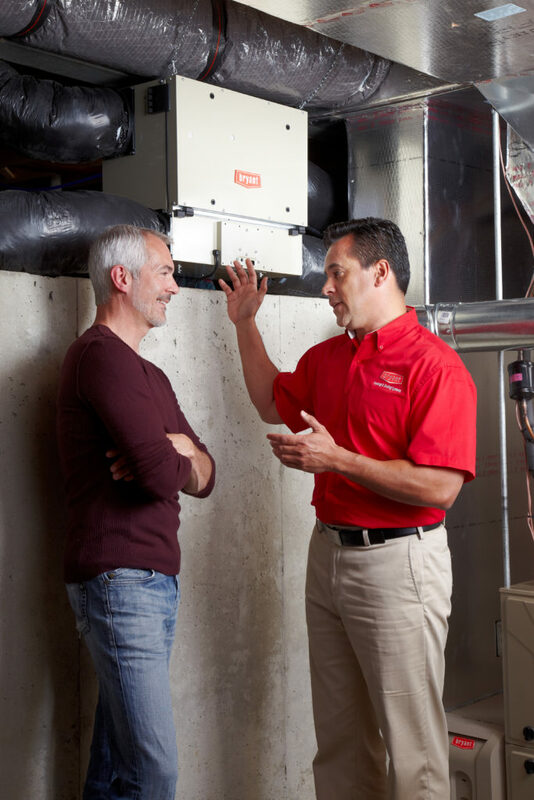 There are many reasons to consider an installation or replacement of a heating system including new home construction, a major renovation or addition, or a current system failure. Wayne Bryant Heating & Cooling offers the highest quality brands for HVAC systems. We offer professional install on air conditioners and other home cooling systems. Our certified technicians will make recommendations based on the size of your home, ductwork and the number of rooms that need to be cooled. Wayne Bryant has the experience and knowledge to both design and install your new cooling system. In addition to this experience and knowledge we offer our services 24/7 which can be crucial on a hot summer day in Apex with no AC. And we also we understand that, especially if unexpected, a cooling system replacement can be a significant purchase so we recently established a relationship with a financing company to help our customers be able to more easily handle these often expensive, but necessary installations. If your need for a cooling system is due to new home construction, or the recent addition to your home, the team at Wayne Bryant will happily evaluate your needs and help you decide on the system that will best fit them, and your budget. We have experience with all major manufacturers of heating systems and are certified installers for Bryant, Carrier, Goodman, and Payne. We have also taken a number of classes offered by ductless manufacturers, which can be a great option for modern homes and additions without ductwork.